I’ve just returned from Mayrhofen in Austria, the venue for this year’s Kanban Leadership Retreat organised by David Anderson. Last year I visited Reykjavik in Iceland for the same event. Both locations have added immensely to the pleasure of the experience. The retreat follows an unconference format with sessions in the morning and evening. The afternoons are free for enjoying the surroundings. People take advantage of this in all kinds of ways. The occasion is invite only. Those present are past attendees of his Kanban Masterclass, Accredited Trainers, Brickell Key Award winners and a sprinkling of notables from the Kanban community. With a maximum of fifty people, all passionate about Kanban, it provides an intimate melting pot of new ideas. Hakan Forss talked about Toyota Kata on both days. His initial session captured the interest of many people and fascinated me. It spawned more discussions throughout that day and a further session the next. 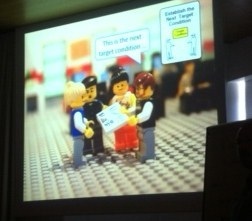 To kick things off he used a slides depicting Lego workers that came complete with miniature A3 style reports. The slides were a discussion point alone. His second session started with a debate on the use of an appropriate process vision, something that Toyota use with their Kata implementation. The session ended with a coaching role play facilitated by Gary Perkerwicz and me as the student. In another of Hakan’s sessions the discussion centred on the ordering of the Kanban principles and how new teams become acquainted with them. 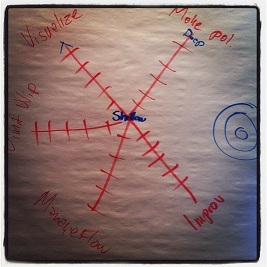 The creativity and experience in the room soon refocused on the potential use of spider charts as an effective way to visualise a snapshot of Kanban maturity within an organisation. This seemed an obvious organisational planning tool or for using to asses current state processes. I also greatly enjoyed listening to Ian Carroll talk about Systemic Flow Mapping, Klaus Leopold and Sigi Kaltenecker cover desirable leadership traits and Yuval Yuret hosting how Kanban will tackle Crossing the Chasm. What have I acted on as a result. I’ve started reading Mike Rother’s Toyota Kata book and explore his ideas in more detail and I’ve started sketching maturity spider diagrams already. 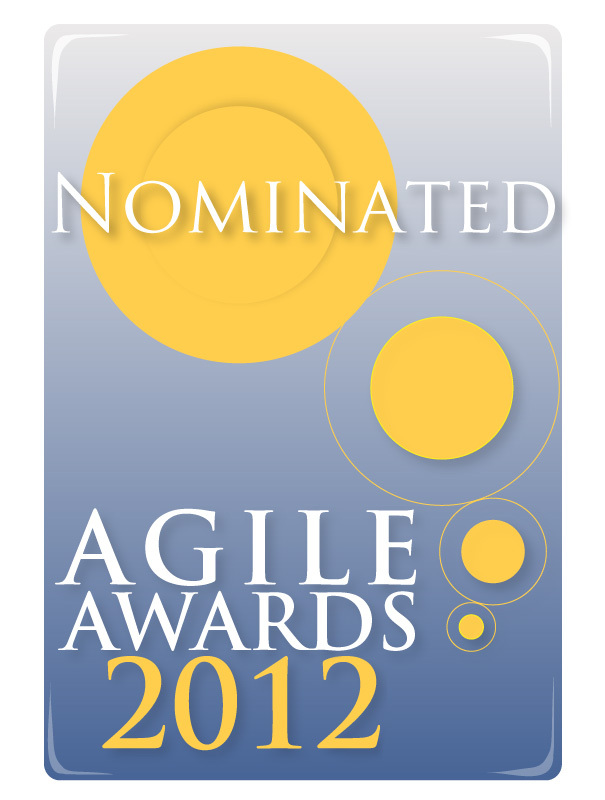 I’ve just heard I’ve been nominated in the Best Agile Coach category of the 2012 UK Agile Awards. 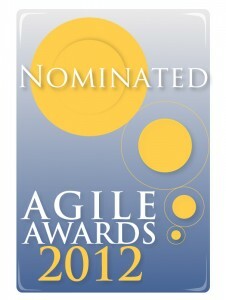 The nomination came from NewRedo client. NewRedo is the agile consultancy I’m co-founder of. It’s a nice feeling being recognised in this way and especially after I’d taken a look at last year’s list of nominated industry experts. Fingers crossed.